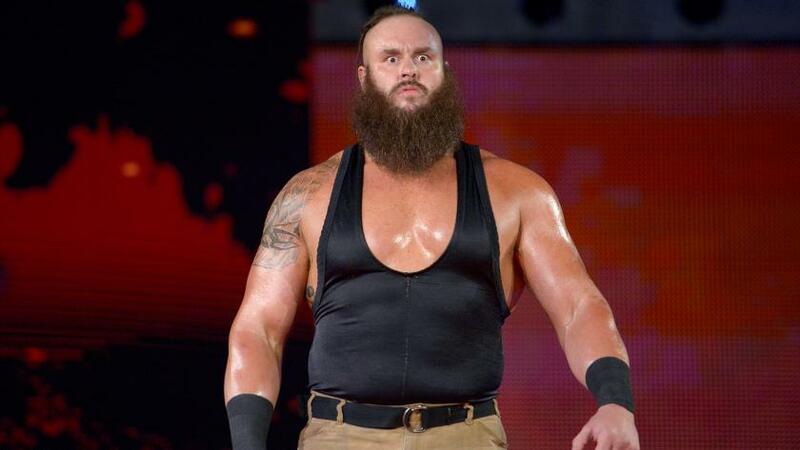 Check out the Braun Strowman’s WWE profile here! On May 12, 2013, it was reported that Scherr had signed with the professional wrestling promotion WWE. He was later assigned to the WWE Performance Center in Orlando, Florida, where he adopted the ring name Braun Stowman. Braun Stowman has been appearing as one of Adam Rose’s rosebuds. December 19-20, 2014 – NXT Live Event: Braun Stowman defeated Chad Gable. May 27, 2015 – NXT: Braun Stowman defeated Dash Wilder in a dark match. June 6, 20, 2015 – NXT Live Event: Braun Stowman defeated Tye Dillinger. August 24, 2015 – RAW: Braun Strowman made his Raw debut by attacking Dean Ambrose and Roman Reigns and joining the Wyatt Family. August 31, 2015 – RAW: Braun Strowman w/ The Wyatt Family defeated Dean Ambrose w Roman Reigns by disqualification. August 31, 2015 – RAW: Braun Strowman defeated Dean Ambrose by disqualification. September 20, 2015 – Night of Champions: Bray Wyatt, Luke Harper, and Braun Strowman defeated Dean Ambrose, Roman Reigns, and Chris Jericho. September 25, 2015 – Live Event: Braun Strowman defeated Damien Sandow. October 3, 2015 – Main Event: Braun Strowman defeated Curtis Axel. October 5, 2015 – RAW: Roman Reigns, Dean Ambrose and Randy Orton defeated Bray Wyatt, Luke Harper and Braun Strowman. October 16-18, 2015 – Live Event: Kane and The Undertaker defeated Braun Strowman and Luke Harper. October 19, 2015 – RAW: The Shield defeated the Wyatt Family by disqualification. October 29, 2015 – SmackDown: Luke Harper, Erick Rowan and Braun Strowman defeated Dean Ambrose, Cesaro and Ryback in a “Face the Fear” challenge match. November 5, 2015 – SmackDown: The Wyatt Family defeated The Lucha Dragons and The Prime Time Players. November 11-14, 2015 – Live Event: The Wyatt Family (Braun Strowman, Erick Rowan & Luke Harper) defeated Ryback & The Usos (Jey Uso & Jimmy Uso). November 30, 2015 – RAW: The Dudley Boyz and Tommy Dreamer fought Luke Harper, Braun Strowman and Erick Rowan to a no contest. December 5, 2015 – Live Event: Braun Strowman defeated Damien Sandow. December 7, 2015 – RAW: Team Reigns (Roman Reigns, the Usos and Dean Ambrose) defeated the Wyatts, the League of Nations (Rusev, WWE world heavyweight champion Sheamus, WWE United States champion Alberto Del Rio and King Barrett) and the ECW Originals (Tommy Dreamer, the Dudleyz and Rhyno) in a fatal 4-way tag team match. December 13, 2015 – TLC: The Wyatt Family defeated the Dudleyz, Rhyno and Tommy Dreamer in an elimination tables match. December 14, 2015 – RAW: The Wyatt Family defeated the Dudleyz, Rhyno and Tommy Dreamer in an Extreme Rules tag team match. December 19-20, 2015 – Live Event: The Dudley Boyz (Bubba Ray Dudley and D-Von Dudley), Kane and Tommy Dreamer defeated The Wyatt Family (Braun Strowman, Bray Wyatt, Erick Rowan and Luke Harper). December 21, 2015 – RAW: The Wyatt Family defeated Kane, Tommy Dreamer and the Dudley Boyz. December 23, 2015 – Tribute to the Troops: Dean Ambrose, Kane, Roman Reigns, Ryback, The Dudley Boyz (Bubba Ray Dudley & D-Von Dudley) and The Usos defeated The League Of Nations (Alberto Del Rio, King Barrett, Rusev and Sheamus) and The Wyatt Family (Braun Strowman, Bray Wyatt, Erick Rowan and Luke Harper). December 24, 2015 – SmackDown: The Wyatt Family defeated Kane, Ryback and the Dudley Boyz. December 26-28, 2015 – Live Event: The Dudley Boyz (Bubba Ray Dudley and D-Von Dudley) and Tommy Dreamer defeated The Wyatt Family (Braun Strowman, Erick Rowan and Luke Harper). January 11, 2016 – RAW: The Wyatt Family defeated Heath Slater, Adam Rose, Bo Dallas and Curtis Axel by disqualification. January 11, 2016 – RAW: WWE world heavyweight champion Roman Reigns fought the Ascension, WWE tag team champions the New Day, Stardust, the Wyatt Family, Alberto Del Rio, Sheamus, Kevin Owens and Tyler Breeze to a no contest in a “1 vs. All” match. February 21, 2016 – Fastlane: Kane, Big Show, and Ryback defeated the Wyatt Family. February 22, 2016 – RAW: The Wyatt Family defeated Kane, Big Show and Ryback. March 10, 2016 – SmackDown: Dean Ambrose, Dolph Ziggler and the Usos defeated the Wyatt Family. March 26, 2016 – Live Event: Braun Strowman defeated Mark Henry. June 28, 2016 – Smackdown: The Wyatt Family (Braun Strowman and Erick Rowan) defeated Aaron Hale and Mike Duwaddy. July 19, 2016 – WWE Draft Live Special: Braun Strowman gets drafted by Mick Foley & Stephanie McMahon to join Monday Night Raw at #48. July 25, 2016 – RAW: Braun Strowman defeated James Elsworth. August 1, 2016 – RAW: Braun Strowman defeated Evan Anderhaul. August 8, 2016 – RAW: Braun Strowman defeated Jorel Nelson. August 10-13, 2016 – Live Event: Braun Strowman defeated Jey Uso. August 22, 2016 – RAW: Braun Strowman defeated Johnny Knockout. August 29, 2016 – RAW: Braun Stroman defeated Americo. September 5, 2016 – RAW: Braun Strowman defeated Sin Cara by count-out. 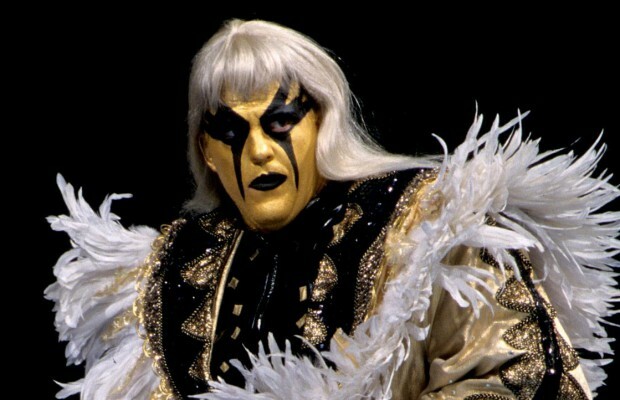 September 6-7, 2016 – Live Event: Braun Strowman defeated Goldust. September 16, 2016 – Superstars: Braun Strowman defeated Sin Cara. September 16-18, 2016 – Live Event: Braun Strowman defeated Sin Cara. September 19, 2016 – RAW: Braun Strowman defeated Sin Cara. September 24, 2016 – Live Event: Braun Strowman defeated Sin Cara. October 3, 2016 – RAW: Braun Strowman defeated Chase Silver. October 5, 7-8, 2016 – Live Event: Braun Strowman defeated Sin Cara. October 10, 2016 – RAW: Braun Strowman defeated Steven and Clay Splash in a handicap match. October 14-16, 2016 – Live Event: Braun Strowman defeated Sin Cara. October 17, 2016 – RAW: Braun Strowman defeated Curtis Cole, Johnny Proof and Tyler Stinson in a handicap match. October 21-23, 2016 – Live Event: Braun Strowman defeated Sin Cara. October 31, 2016 – RAW: Braun Strowman defeated Bo Dallas, Cesaro, Curtis Axel, Darren Young, Goldust, Jinder Mahal, Neville, R-Truth, Sami Zayn, Sheamus and Titus O’Neil in a battle royal to qualify for the RAW Survivor Series team. November 21, 2016 – RAW: Braun Strowman defeated Sami Zayn. November 28, 2016 – RAW: Braun Strowman defeated R-Truth. December 11, 2016 – Live Event: Braun Strowman defeated Sami Zayn. December 12, 2016 – RAW: Braun Strowman defeated Curtis Axel. December 16-17, 2016 – Live Event: Braun Strowman defeated Sami Zayn. December 18, 2016 – Roadblock: End of the Line: Braun Strowman vs. Sami Zayn ended in a 10 minutes time limit draw. December 27-30, 2016 – Live Event: Braun Strowman defeated Sami Zayn. January 2, 2017 – RAW: Braun Strowman defeated Sami Zayn in a last man standing match. January 20-22, 2017 – Live Event: Braun Strowman defeated Sami Zayn. January 29, 2017 – Royal Rumble: Braun Strowman was in the Royal Rumble match won by Randy Orton. January 30, 2017 – RAW: Kevin Owens defeated Braun Strowman by disqualification to retain the Universal title. February 3, 5, 2017 – Live Event: Braun Strowman defeated Sami Zayn. February 6, 2017 – RAW: Braun Strowman defeated CC Bonin, Dusty Wallace, James Stock and Rob Kelly in a handicap match. February 11, 2017 – Live Event: Braun Strowman defeated Sin Cara. February 13, 2017 – RAW: Braun Strowman defeated Mark Henry. February 22-25, 2017 – Live Event: Braun Strowman defeated Sami Zayn. April 21-23, 2017 – Live Event: Braun Strowman defeated Sami Zayn. May 7, 2017 – Live Event: Roman Reigns defeated Braun Strowman. May 2017: It was said that Braun Strowman suffered a shoulder injury and would miss a few months of action. June 19, 2017 – RAW: Braun Strowman returns to RAW costing Roman Reigns his match vs Samoa Joe, then attacks Reigns, and tells him he will see him at The Great Balls Of Fire PPV in a Ambulance match. July 3, 2017 – RAW: Braun Strowman defeated Apollo Crews. July 17, 2017 – RAW: Braun Strowman showed and attacked both Samoa Joe and Roman Reigns, ending the match. August 21, 2017 – RAW: Braun Strowman challenged Brock Lesnar for a WWE Universal title shot. The match was later confirmed by Kurt Angle as Braun Strowman will face Brock Lesnar for the WWE Universal title at No Mercy. September 4, 2017 – RAW: Braun Strowman defeated The Big Show in a steel cage match. September 11, 2017 – RAW: John Cena defeated Braun Strowman by disqualification. September 18, 2017 – RAW: Roman Reigns defeated Braun Strowman in a dark, street fight. September 24, 2017 – RAW: WWE Universal champion Brock Lesnar w Paul Heyman defeated Braun Strowman to retain the title. October 9, 2017 – RAW: Braun Strowman defeated Matt Hardy. October 22, 2017 – TLC: Kurt Angle & The Shield (Dean Ambrose and Seth Rollins) defeated Braun Strowman, Cesaro, Kane, Sheamus and The Miz in a handicap, TLC match. Kane turned on Braun Strowman during the match leading to the rest of the team putting Strowman in a dumpster truck. October 30, 2017 – RAW: Braun Strowman returned to RAW and attacked The Miz and The Miztourage. November 1, 2017 – Live Event: Braun Strowman defeated Kane. November 6, 2017 – RAW: Braun Strowman defeated WWE Intercontinental champion The Miz w The Miztourage by disqualification in a non-title match. Kane argued with Strowman he was the only monster in the WWE and the two brawled. November 13, 2017 – RAW: Braun Strowman vs. Kane ended in a no contest when Strowman powerslamed Kane through the ring. November 20, 2017 – RAW: Kane returned and attacked Braun Strowman. December 11, 2017 – RAW: Braun Strowman vs. Kane ended in a double count-out. As the result there was no #1 contender for the Universal title. December 15-17, 2017 – Live Event: Braun Strowman defeated Samoa Joe. December 18, 2017 – RAW: Kurt Angle announced that Brock Lesnar will defend the Universal title in a 3-way match with Kane and Braun Strowman. December 25, 2017 – RAW: Braun Strowman defeated Curtis Axel and Bo Dallas in a handicap match. January 1, 2018 – RAW: Braun Strowman defeated Rhyno w Heath Slater. January 8, 2018 – RAW: Braun Strowman destroyed Kane and Brock Lesnar. January 12-14, 2018 – Live Event: Braun Strowman defeated Curt Hawkins. January 15, 2018 – RAW: Braun Strowman demolishes a TV production truck. January 19-21, 2018 – Live Event: Braun Strowman defeated Curt Hawkins. Braun Strowman defeated Kane by disqualification. January 25, 2018 – RAW: Braun Strowman, Kane and Brock Lesnar all collided before their Royal Rumble match. January 28, 2018 – Royal Rumble: Brock Lesnar w Paul Heyman defeated Kane and Braun Strowman in a 3-way match to retain the Universal title. January 29, 2018 – RAW: Braun Strowman defeated Kane in a last man standing match. January 30, 2018 – WWE Mixed Match Challenge: Alexa Bliss and Braun Strowman defeated Becky Lynch and Sami Zayn in the 1st round. February 2, 2018 – Live Event: Braun Strowman defeated Heath Slater. February 5, 2018 – RAW: Elias defeated Braun Strowman and John Cena in a 3-way match to secure spot 6 in the Elimination Chamber. February 9, 11, 2018 – Live Event: Braun Strowman defeated Elias. February 12, 2018 – RAW: Braun Strowman plays his own musical segment, then he bashes Elias with a bass. February 17, 2018 – Live Event: Braun Strowman defeated Curt Hawkins. February 18, 2018 – Live Event: Braun Strowman defeated Elias. February 26, 2018 – RAW: Braun Strowman defeated Elias by disqualification. March 2, 4, 2018 – Live Event: Braun Strowman defeated Kane. March 3, 2018 – Live Event: Braun Strowman defeated Elias. March 5, 2018 – RAW: Braun Strowman defeated Elias in a falls count anywhere match. March 9-10, 2018 – Live Event: Braun Strowman defeated Elias. March 12, 2018 – RAW: Braun Strowman defeated Balor Club (Karl Anderson & Luke Gallows) and Heath Slater & Rhyno and The Miztourage (Bo Dallas & Curtis Axel) and The Revival (Dash Wilder & Scott Dawson) and Titus Worldwide (Apollo & Titus O’Neil) in a battle royal to become #1 contender for the RAW tag team titles. March 16, 2018 – Live Event: Brock Lesnar defeated Braun Strowman and Kane in a 3-way match to retain the Universal title. March 17, 2018 – Live Event: Braun Strowman defeated Kane. March 23, 2018 – Live Event: Braun Strowman defeated Elias. March 30, 2018 – Live Event: Brock Lesnar defeated Braun Strowman and Kane in a 3-way match to retain the Universal title. March 31, 2018 – Live Event: Braun Strowman defeated Kane. April 2, 2018 – RAW: Cesaro and Sheamus wanted to know who Stroman tag partner will be instead they get Brain Strowman. Curt Hawkins wanted to be Strowman tag partner but instead gets thrown trough a wall. April 9, 2018 – RAW: Braun Strowman and Nicholas relinquished the RAW tag team titles. April 18, 2018 – Live Event: Roman Reigns defeated Braun Strowman and Elias in a 3-way match. 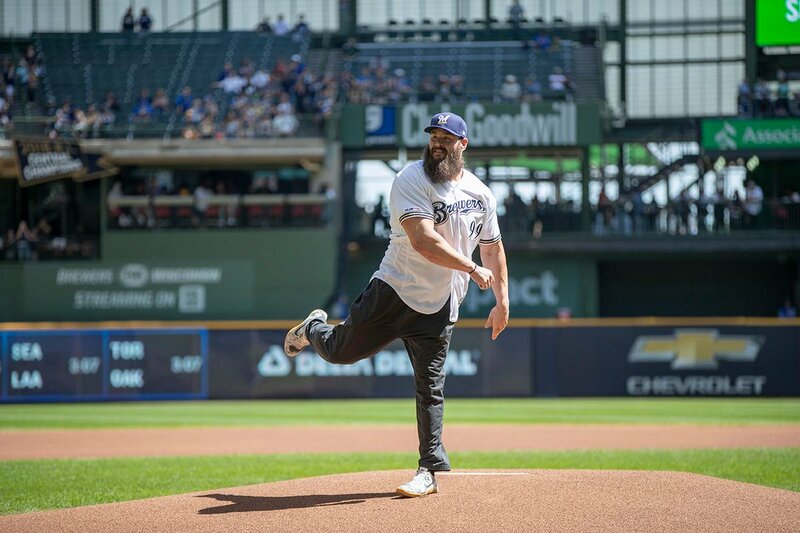 April 19, 2018 – Live Event: Braun Strowman defeated Elias. April 23, 2018 – RAW: Bobby Lashley and Braun Strowman defeated Kevin Owens and Sami Zayn. April 27, 2018 – WWE Greatest Royal Rumble: Braun Strowman won the Greatest Royal Rumble ever. May 6, 2018 – WWE Backlash: Bobby Lashley and Braun Strowman defeated Kevin Owens and Sami Zayn. May 7, 2018 – RAW: Braun Strowman defeated Kevin Owens to qualify for the Money In The Bank ladder match. May 9-10, 2018 – Live Event: Bobby Lashley and Braun Strowman defeated Kevin Owens and Sami Zayn. May 11-13, 2018 – Live Event: Bobby Lashley, Braun Strowman and Roman Reigns defeated Kevin Owens, Sami Zayn and Samoa Joe. May 15-18, 2018 – Live Event: Bobby Lashley, Braun Strowman and Roman Reigns defeated Kevin Owens, Sami Zayn and Samoa Joe. June 1-3, 2018 – Live Event: Bobby Lashley and Braun Strowman defeated Kevin Owens and Sami Zayn. June 29, 2018 – Live Event: Braun Strowman defeated Baron Corbin and Bobby Roode in a 3-way match. July 2, 2018 – RAW: Braun Strowman defeated Kevin Owens by count-out. July 13-14, 2018 – Live Event: Braun Strowman defeated Kevin Owens. July 15, 2018 – Extreme Rules: Kevin Owens defeated Braun Strowman in a steel cage match. August 10-12, 2018 – Live Event: Braun Strowman defeated Kevin Owens in a street fight. August 19, 2018 – SummerSlam: Braun Strowman defeated Kevin Owens to retain his Money In The Bank briefcase. August 20, 2018 – RAW: Braun Strowman tried to cash in his Money In The Bank but The Shield returned and triple powerbombed him through the table. September 3, 2018 – RAW: Braun Strowman defeated Finn Balor. Braun Strowman, Dolph Ziggler & Drew McIntyre destroyed The Shield. September 7-9, 2018 – Live Event: Roman Reigns defeated Braun Strowman by disqualification to retain the Universal title. September 10, 2018 – RAW: The Shield gets their revenge on Braun Strowman, Dolph Ziggler & Drew McIntyre. September 14-15, 2018 – Live Event: Roman Reigns defeated Braun Strowman by disqualification to retain the Universal title. September 16, 2018 – Hell In A Cell: Roman Reigns vs. Braun Strowman in a Hell In A Cell match ended in a no contest when Brock Lesnar attacked both wrestlers. September 17, 2018 – RAW: Roman Reigns & Braun Strowman called out Brock Lesnar. September 18, 2018 – Mixed Match Challenge: Braun Strowman and Ember Moon defeated Kevin Owens and Natalya. October 1, 2018 – RAW: Braun Strowman defeated Dean Ambrose by disqualification. October 20, 2018 – Live Event: Braun Strowman defeated Dolph Ziggler. October 29, 2018 – Crown Jewel: Braun Strowman & Brock Lesnar collides before Crown Jewel. November 2, 2018 – Crown Jewel: Brock Lesnar w Paul Heyman defeated Braun Strowman to win the vacant WWE Universal title. November 5, 2018 – RAW: Braun Strowman hunts for Baron Corbin. November 8, 2018 – Live Event: Braun Strowman defeated Baron Corbin. Braun Strowman defeated Dolph Ziggler and Drew McIntyre in a handicap match. Baron Corbin, Dolph Ziggler and Drew McIntyre defeated Braun Strowman in a handicap match. November 9, 2018 – Live Event: Braun Strowman defeated Baron Corbin. Baron Corbin, Dolph Ziggler and Drew McIntyre defeated Braun Strowman in a handicap match. November 13, 2018 – Mixed Match Challenge: Braun Strowman and Ember Moon defeated Bobby Lashley and Mickie James. November 19, 2018 – RAW: Baron Corbin, Bobby Lashley and Drew McIntyre vs. Braun Strowman, Elias and Finn Balor in a tag team elimination match ended in a no contest. Corbin, Lashley & McIntyre took out Strowman. November 21, 2018: It was confirmed that Braun Strowman will miss time due to elbow surgery. December 16, 2018 – TLC: Braun Strowman defeated Baron Corbin in a TLC match. December 24, 2018 – RAW: Braun Strowman confronts Paul Heyman. January 14, 2019 – RAW: Braun Strowman pushes over the limousine of Vince McMahon. January 21, 2019 – RAW: Finn Balor defeated Braun Strowman by disqualification, when Brock Lesnar gave an F5 to Finn Balor. January 27, 2019 – Royal Rumble: Braun Strowman entered the Royal Rumble match at #27 but was won by Seth Rollins. January 28, 2019 – RAW: Braun Strowman defeated Drew McIntyre by disqualification. February 1-2, 2019 – Live Event: Braun Strowman defeated Baron Corbin. February 4, 2019 – RAW: Baron Corbin and Drew McIntyre defeated Braun Strowman and Kurt Angle by disqualification. February 8-10, 2019 – Live Event: Braun Strowman defeated Baron Corbin in a street fight. February 11, 2019 – RAW: Braun Strowman, Finn Balor and Kurt Angle defeated Baron Corbin, Bobby Lashley and Drew McIntyre. February 15-16, 2019 – Live Event: Braun Strowman defeated Baron Corbin. February 17, 2019 – Elimination Chamber: Baron Corbin defeated Braun Strowman in a no disqualification match. February 18, 2019 – RAW: Braun Strowman defeated Baron Corbin in a tables match. February 22-24, 2019 – Live Event: Braun Strowman defeated Baron Corbin in a no disqualification match. March 1-3, 2019 – Live Event: Braun Strowman defeated Baron Corbin in a no disqualification match. March 8-9, 2019 – Live Event: Braun Strowman defeated Baron Corbin in a no disqualification match. March 15-17, 2019 – Live Event: Braun Strowman defeated Baron Corbin in a no disqualification match. March 22-24, 2019 – Live Event: Braun Strowman defeated Baron Corbin in a no disqualification match. April 1, 2019 – RAW: Braun Strowman defeated Brandon Scott and Elijah King in a handicap match. April 7, 2019 – WrestleMania 35 Kickoff: Braun Strowman won the Andre The Giant Memorial battle royal. April 9, 2019 – SmackDown Live: Braun Strowman brawled with Samoe Joe.